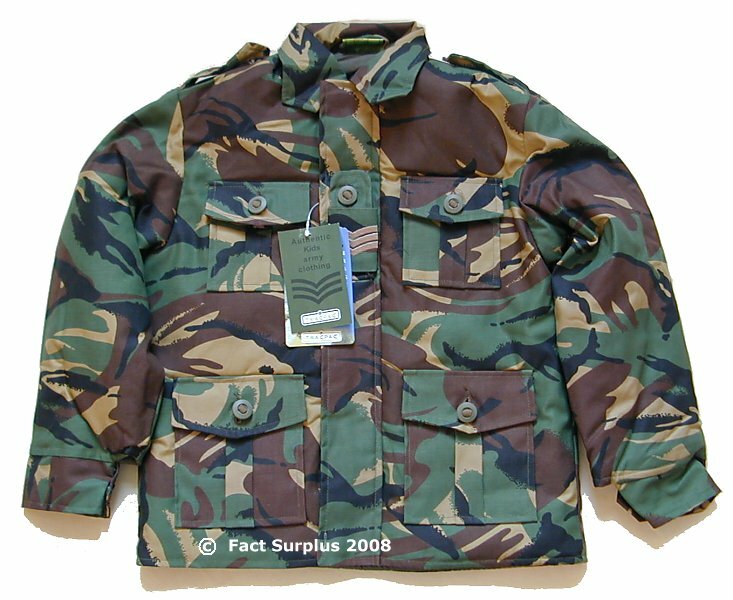 Polycotton camo outer, cotton inner with a polyester fibre filling. 4 pockets, epaulettes, zip and press stud closure. If you are unsure of size lay out a jacket that fits your child and measure across the chest. It will be in the region of 40 to 50cm. You'll be able to see which jacket will fit best. Age ranges are for indication only. 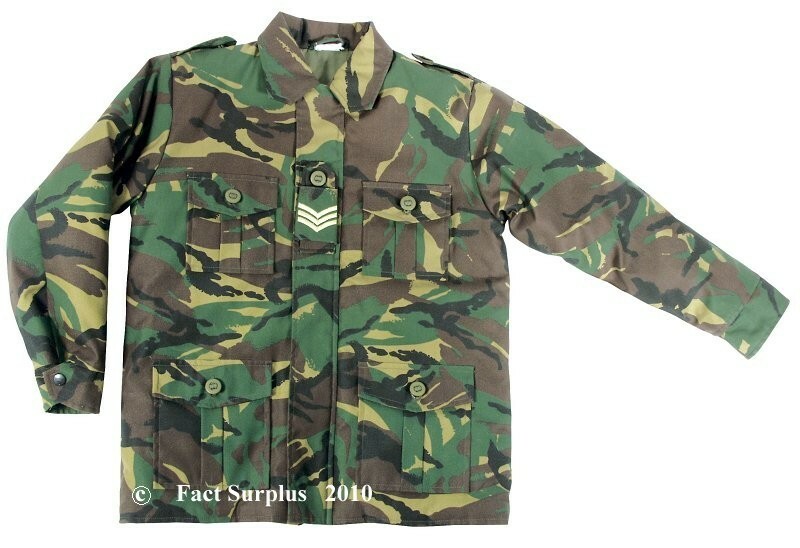 Kids Camo Jacket 3 - 4 yrs. 104cm tall. Kids Camo Jacket 5 - 6 yrs. 116cm tall. Kids Camo Jacket 7 - 8 yrs. 128cm tall. Kids Camo Jacket 9 - 10 yrs. 140cm tall. Kids Camo Jacket 11 - 12 yrs. 152cm tall.